How Much Boost Can My KA-T Handle In Stock Form? Hi, allow me to welcome you to NICOclub and the world of KA turbo (KA-T) engines. If you’ve been a member for awhile now, well its about time you’re interested in going turbo. There has been a rash of threads and questions related to how much boost or how much horsepower a stock motor can handle before things start to break. I’m going to do my best to explain how and why things happen the way they do. The KA24E and KA24DE are both very fun motors when boosted. They can be used for high horsepower drag cars or low boost dependable daily drivers. The selection of parts and where money is invested will determine exactly how and why things are going to happen to your motor. First, lets start off with making sure the current motor and car are in fairly good condition. By that I mean the motor runs perfectly fine as it sits right now and the car isn’t going to fall apart. Trust me, if you have any problems, adding boost is only going to compound them greatly. Aside from running well and being mechanically sound there are a few things that should be looked at closely. One is the compression on all 4 cylinders. If you don’t have a compression tester, I suggest buying one. They are about $30 from Sears where I bought mine. But they can be found at most auto parts stores. You’re going to want compression numbers over 155 on all 4 cylinders and they should be within 10 psi of each other for the best results. If they are lower, I’d suggest a full rebuild before going with a turbo kit. The next key part is the oil system. Its hard to tell the exact pressure without a standalone aftermarket gauge. But you’ll want want 15psi or more at idle and over 30psi once the rpms have gone past 3000. Those are for an engine that’s already warmed up. If its cold, they will be ALOT higher. Don’t use those numbers. However, if you have low oil pressure when cold, and the car has been running for more then 2 minutes, shut the car off and inspect the oil system. Hopefully its just low oil level. The coolant system should also be working well. 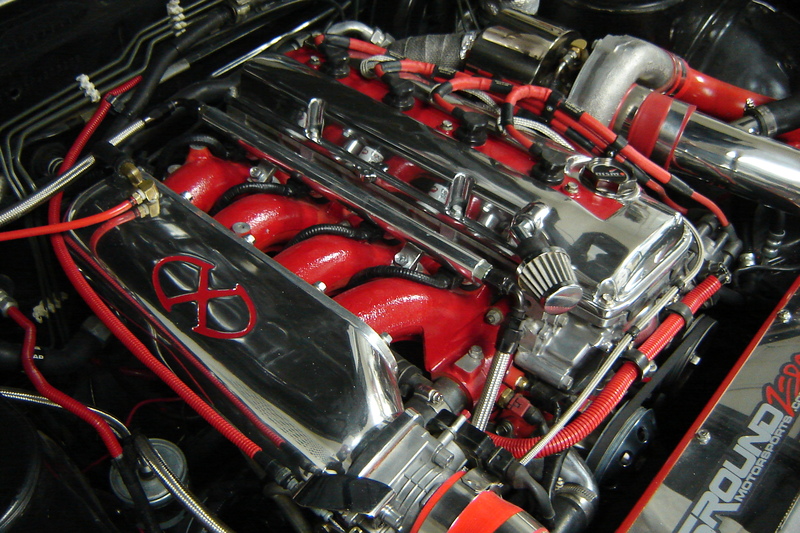 Adding a turbo creates more heat inside the motor and more heat under the hood. So a good cooling system is a must have. The factory system will work fine for a low boost setup. Just make sure you keep an eye on things. Overheating a turbo motor will lead to detonation and can wreak havoc on every system in the car. You’ll never hear people say, “Man, what a waste of money he put into that cooling system”. If you do, chances are they don’t know what they’re talking about. The last main system that needs to be inspected is the ignition system. Adding a turbo will require you to use a different spark plug. One that is one or two heat ranges colder. You’ll also use a shorter plug Gap then stock. Start with BKR7E from NGK and gap them to .038 and close the gap as you run into spark issues. But that’s a whole story by itself. If you want to change the wires while you’re swapping plugs, might as well. There is no such thing as having something work “too well”. With all that said, let’s move on to the actual point of this thread. The stock internals in a mechanically sound motor will take a good bit of power. We have members pushing close to 500WHP on factory parts. But we’ve also had motors fail in the 300’s and 400’s. A lot of this is due to poor tuning and or not taking care of the motor. If the engine oil is changed frequently, then there should be no issues with the bearings seizing up. Clean oil is always a good thing. I relate some of the problems people have had to lubrication issues. As far as tuning goes, money is the only thing that will limit your options. You have to really consider your end goal. Will a simple piggy back SAFCII or Greddy Emanage be good enough? Or should I look into Rom tuning or Standalone Ecu’s? Well both work well for what they are. Cheap piggy back setups are good for making a small but fun amount of power. But if your needs are over 300, then I’d start exploring other options. The whole point of tuning is that without a good safe Air/Fuel mixture and the proper timing retard on boost, you could have the motor built with high-end parts and it will still break. Finally, once you’ve got everything working correctly and you’ve decided on what method you’re going to use for tuning, you come to the most important choice of all in my mind and that’s what parts to buy or what kit to use. Every part in a system will have a max output. If that max output is lower than your goals, then don’t buy it. Trust me, settling on something will always haunt you. If you have to save for a few extra months to get what you want, then so be it. There are a lot of good deals to be found and a lot of choices that will work very well. But there are just as many bad choices along the way. Beware what you buy from EBay, some things just shouldn’t be bought from a generic company. There is a lot of information in the KAT forum as a whole and a lot in the FAQ at the top of the page. If you can’t find it there, then ask away. But please read through things at least a little before rattling off questions that are probably posted on the very first page already. A little research in the beginning will yield fantastic results later. All of this comes to a close with me voicing my opinion and saying a safe bet for a sound motor when tuned properly is about 350WHP. Some will go farther, some will not. If my goals were more than 350WHP, I’d seriously consider saving for forged internals. I hope this has helped some of you out. Never be afraid to ask questions. Worst case, we’ll just tell you where to look. STOP RB20 / RB25 / RB26 overheating! King Racing – New bearing designs for Nissan applications!